A historic moment in the Kralovec family: our first geocache! We joined the world of geocaching this weekend. It is such a good family activity because it is outside, something we can all do together and it gets the kids away from the computer or TV. I highly recommend it. 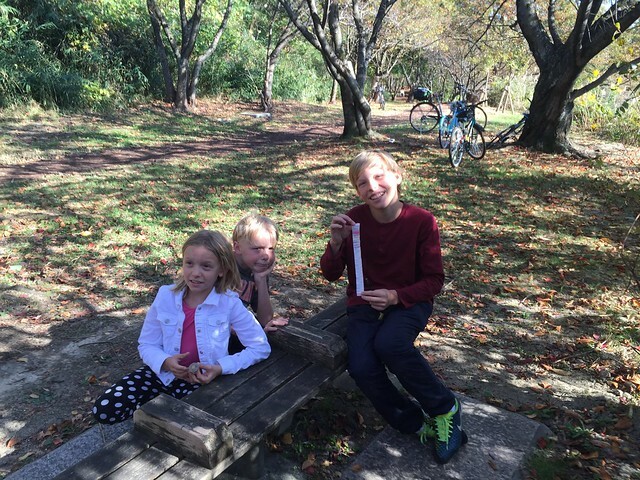 In our neighborhood of Minoh, there were three geocaches within a mile of our home. We found two of the three. The geocaches are small, about the size of a box of tic-tacs, with a log to write your name and date. With mobile phone technology, you can read about other people’s experiences and they also post photos if you are really stuck. There is a hint provided as well. My children were very enthusiastic and we rode our bikes to the three sites. The beautiful autumn weather continues. 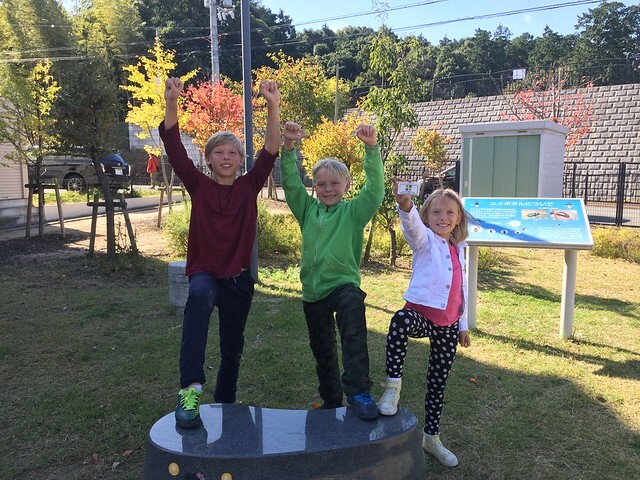 The second geocache in Kita Senri park. It was a nice family weekend. Owen played his first basketball games of the season. His team won both games quite easily. I have been thinking a lot about capturing the special small moments of family life. It seems life goes by so quickly and by stopping to document or note those special, not milestone moments, it gives you a chance to relive them. They would otherwise just pass by. Anyway, Ocean bought a pair of plastic glasses at Daiso, her favorite store in Japan. They came with a big nose and mustache. 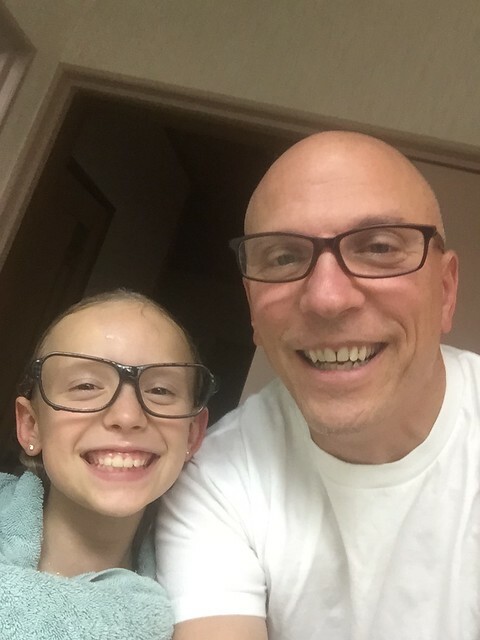 She took the nose/mustache off and was following me around the house, saying she looked like me. I snapped this photo below. Ocean is so loving, smart and has such a sparkling, positive personality. I feel so blessed to be able to raise a daughter.